New York, NY – Forty-one years after the legendary Bottom Line club opened its doors in Greenwich Village, The Bottom Line Archive Series has announced the next three titles, set for release June 29th. The series is on Bottom Line Record Company, distributed via BFD/Red. BFD is a division of Bob Frank Entertainment. Harry Chapin: Live at the Bottom Line (35th anniversary expanded remaster) featuring never-before-released material. Marking his 2000th performance (January 8-10, 1981) this release provides a unique snapshot of an artist at the peak of his career – intimate and intense. Janis Ian: Live at the Bottom Line(35th anniversary remaster) featuring the acclaimed singer/songwriter and virtuoso guitarist (1980) whose artistry over her 50 years of live performances has only improved with age. In Their Own Words: A Bunch of Songwriters Sittin’ Around Singing (ITOW) Volumes 1&2 (reissued)featuring 15 artists performing and talking about one of their own songs or a song they wish they’d written, unplugged and acoustic. Artists include Ric Ocasek, Joey Ramone, Graham Parker, Richard Thompson, Dion, Jimmy Webb, Lucinda Williams and Shawn Colvin. Hosted and co-created by noted radio personality Vin Scelsa, this re-issued two-disc ITOW set provides an unrehearsed and unforgettable glimpse into the process of songwriting and performing. (1990-1993). These releases are the second of an extensive quarterly rollout of more than 24 new titles over the next two years, including classic live performances by John Hiatt, Emmylou Harris, Savoy Brown, Waylon Jennings, Ralph Stanley, Jorma Kaukonen, Tony Orlando, Pete Seeger and Rory Gallagher, among others. The next releases are scheduled for October 2015. Bottom Line co-founder/curator Allan Pepper says he’s got recordings of more than 1,000 shows from Greenwich Village nightclub, which always booked an eclectic mix of rock, jazz, blues, folk and other forms of music. Pepper says the label is currently having conversations with representatives from many of the acts. Series producer Gregg Bendian, who performed frequently at The Bottom Line with his band, The Mahavishnu Project, also organized the extensive liner notes for the series, which include testimonials/memories from Harry Chapin’s band members and friends; a Q&A with Janis Ian; notes from Vin Scelsa about the origins of ITOW; and a Q&A with Allan Pepper about ITOW and its legacy of musical inclusiveness. 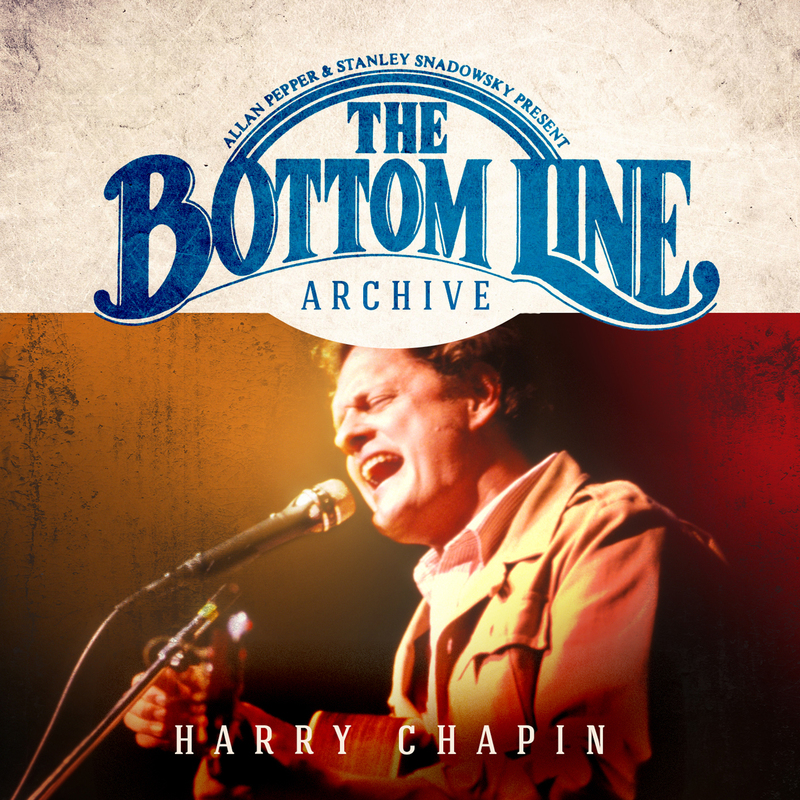 The Bottom Line Archive – Harry Chapin, Janis Ian and the ITOW re-issue –is available for pre-order on Amazon. The first edition of the BLA series with the Brecker Brothers, Kenny Rankin and Willie Nile is also available on Amazon and iTunes.